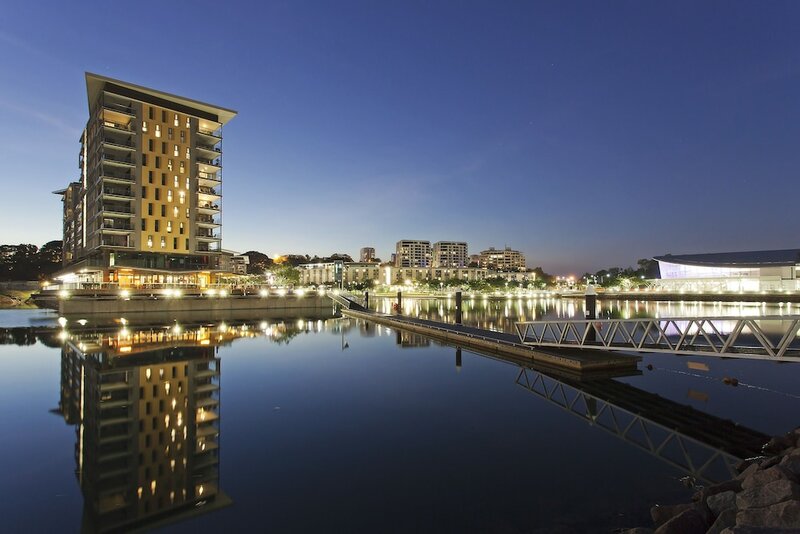 With a stay at Saltwater Suites in Darwin (Darwin City Centre), you'll be a 2-minute drive from Darwin Waterfront and 9 minutes from Cullen Bay Marina. This 4.5-star apartment is 7.3 mi (11.8 km) from Casuarina Beach and 0.2 mi (0.3 km) from Fort Hill Wharf. Make yourself at home in one of the 6 air-conditioned rooms featuring kitchens with full-sized refrigerators/freezers and stovetops. Rooms have private balconies. Wired and wireless Internet access is complimentary, and flat-screen televisions with cable programming provide entertainment. Conveniences include desks and microwaves, and housekeeping is provided on a limited basis.